That about says it all for the earthquake! Well described. I too spent the next day on adrenalin, stock-piling water and finally packing the quick-get-away back packs, which I should have done months/years ago. 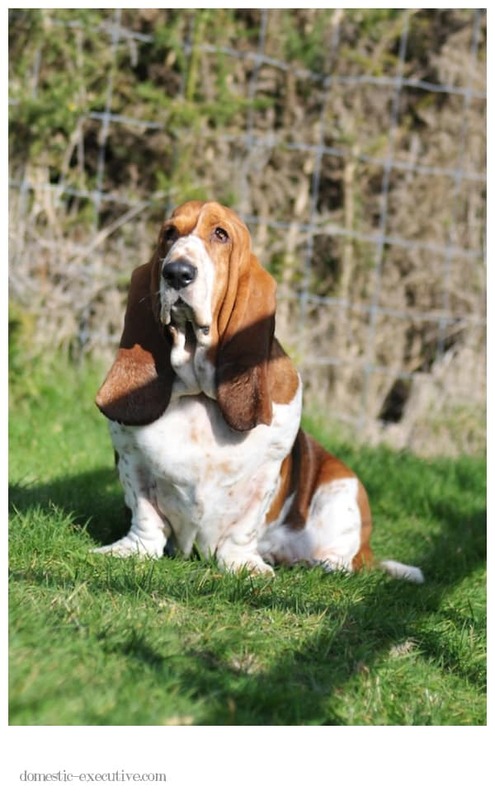 We even have freeze-dried emergency dog food in our packs. 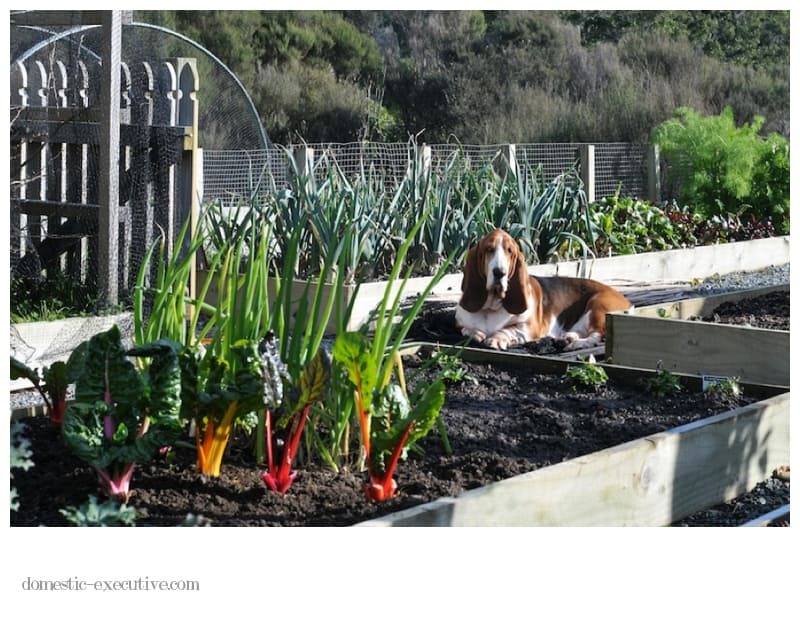 Loved the photo of the basset sentry in the vege garden. Beautiful. You are so right about Kiwis being the right people to be around in an emergency – I couldn’t stop shaking and the people I was in a meeting with just calmly moved onto the next thing on the agenda! 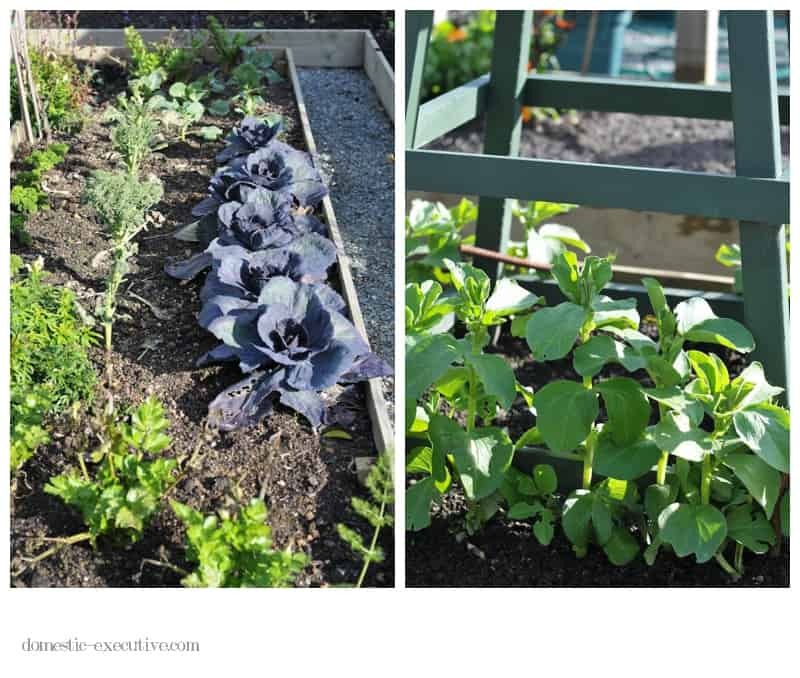 What a beautiful garden you grow, Julie, especially the colorful chard!